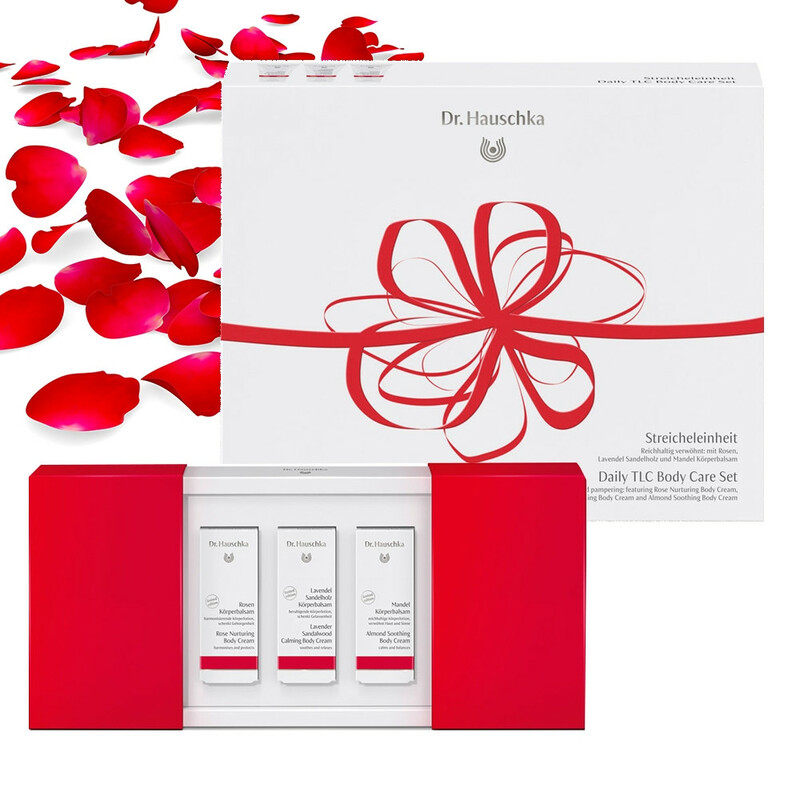 Precious oils and effective medicinal plant extracts form the basis of all Dr. Hauschka body creams – to nourish and care for your skin. This gift set is also an invitation to embark on a sensory journey through a variety of fragrances: refreshing lavender paired with warm sandalwood, a delicate almond blossom that recalls an Italian summer, or the rose in all its facets. Every body cream is a special unique gift. And good things come in threes. Breathe in the sensual fragrances and experience the luxurious textures of our body care set. Enjoy the warmth and comfort offered by the rich Rose Nurturing Body Cream, which contains rose wax and rose petal extracts to harmonise and strengthen the skin. The Lavender Sandalwood Calming Body Cream soothes the skin and restores its natural balance. The rich Almond Soothing Body Cream cares for, smooths and calms the skin, especially in winter.